Do you have a diseased tree, or one that is damaged for that matter, in your residential or public place? Then it may just be the right time to call in the assistance our able Rosebank tree fellers. Tree removal DIY’s are often risky, especially if you lack the necessary experience and the relevant equipment to get the job done- and that is where we come in. 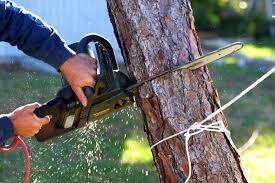 We are tree removal experts in Rosebank and surrounding Johannesburg central areas. We provide cost-effective Rosebank tree felling services for residential properties as well as commercial ones. To undertake a safe tree felling exercise, we use state-of-the-art equipment to cut trees down without causing damage to your property or the other trees. On top of the services of tree felling in Rosebank that we offer, we can also assist with hedge trimming to keep your beloved tree well-trimmed. We provide a wide range of expert services to cater for our clients’ needs. For both public and private spaces, we also can provide site clearing services, as well as offer topsoil supplies. When it comes to offering reliable services in Rosebank and the entire Johannesburg central, no other services provider can match to us. We offer quick, safe, effective, and affordable services, with the use of the best equipment needed for this job. Call us on 087 551 0614 right away for a free price estimate. We’ll gladly render our tree felling services for both big and small trees.